Like the ancient helmets discovered in Norway, the Viking Helmet with Aventail has an eye-catching, pointed face guard with almond eye holes. 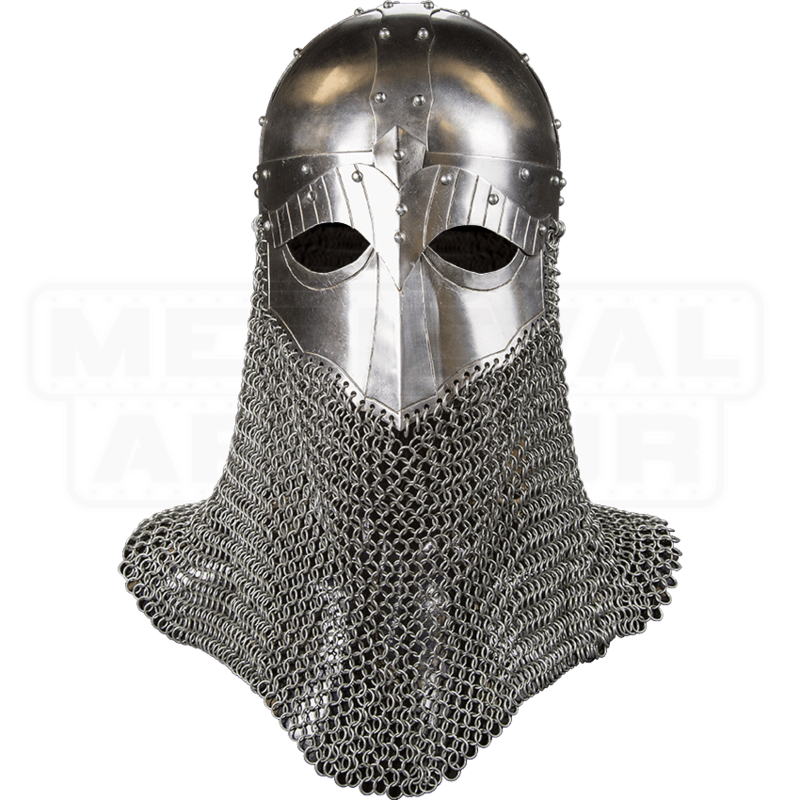 Chainmail attached to the bottom of the helmet, called an aventail, protects the neck. This historical Viking helmet is made of 16 gauge steel. Rivets accent the crossed strips that give the rounded helm structure. Inside, this Norse helmet has an adjustable, padded cotton liner and leather straps that secure it in place under the chin. 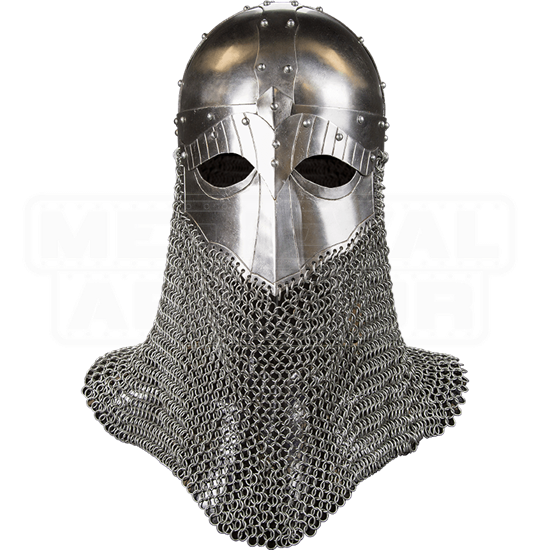 Look just like a Viking warrior of eras past when you wear this polished steel helmet to your next reenactment event, Renaissance faire, or other costuming occasion.